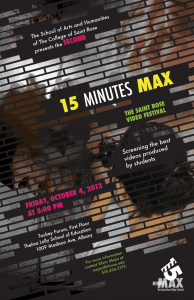 15 Minutes Max 2013 poster designed by Saint Rose alumna J. Walker. 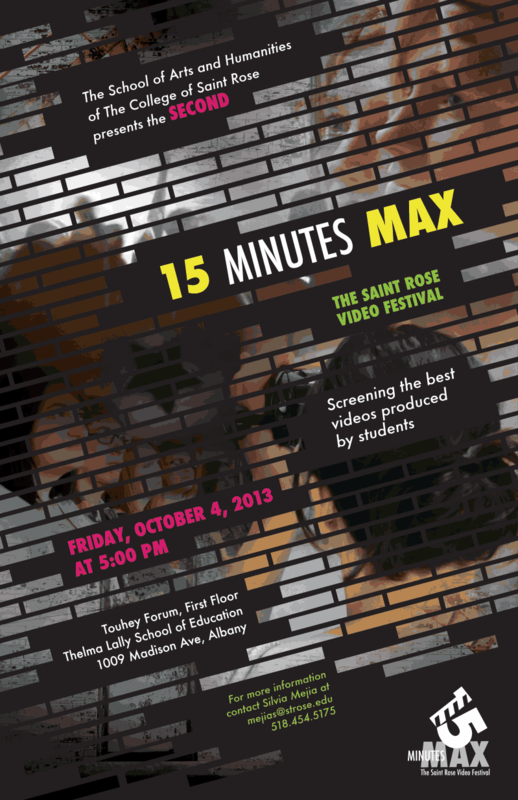 …the Saint Rose Video Festival. Screenings of eight student-produced pieces will be shown, with an opportunity for the audience to vote for their favorite along with prizes from judges. Live tweet at the event with #15minsmax to let us know your feedback.